Joseph Devlin, won the West Belfast seat for the Irish Parliamentary Party by a margin of sixteen votes. He was seen by John Redmond and John Dillon of the IPP as the man who could win the Northern nationalist vote. Devlin revived the Ancient Order of Hibernians (AOH) and became the grand master of its ruling body. 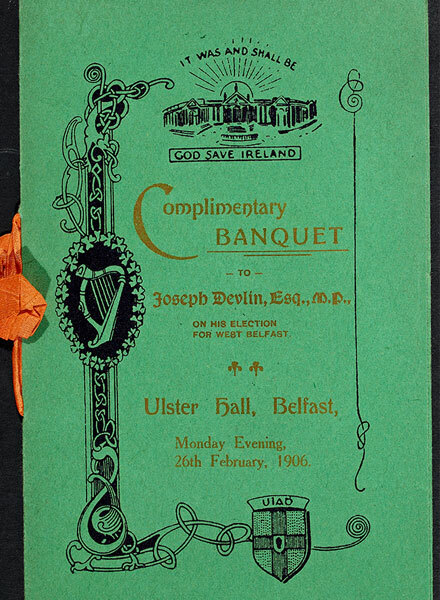 The AOH was a Catholic version of the Orange Order and in 1909 it had 60,000 members. Devlin continued to represent West Belfast for the next thirty years. 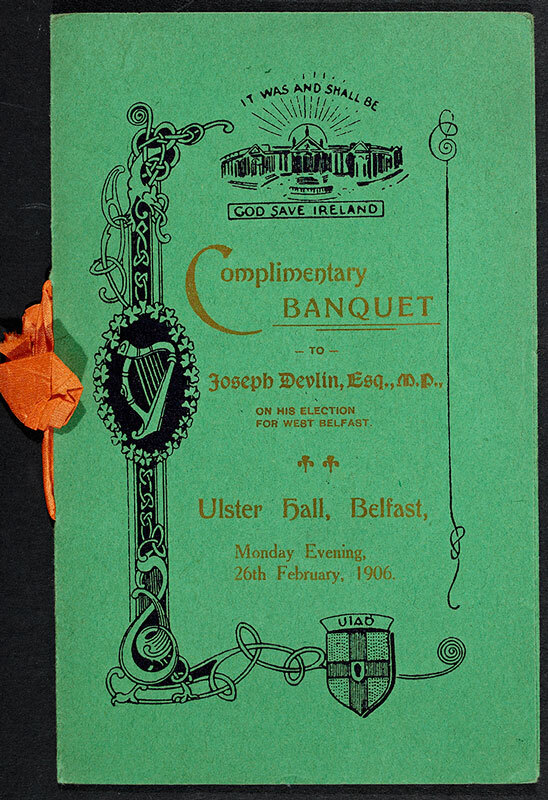 Souvenir of the banquet held on the re-election of Joe Devlin to the House of Commons.